This is something that I have thought a lot about since that frightful evening, a few days after Elsie was born, when my breasts thought they’d have a laugh and give Mount Everest a run for it’s money. Oh yes, I’m talking about when my actual milk ‘came in’ with a blooming vengeance. It was like something out of ‘Who Framed Rodger Rabbit?‘ without the glossy animation that made them ping back to normal size after the joke was over. This was no joke. It was quite possibly the longest night of my life which involved several panic stricken phone calls to the 24 hour midwife, whilst hopping in and out of the shower to release just a fraction of the swelling in between frantically hand expressing milk into my baby’s mouth because mummy’s bazucas’ were so swollen that she couldn’t latch on. It was just awful. By sunrise, after zero sleep, the Hubster was surrounded by instruction manuals, bottles, the steriliser and breast pump as his girls stood by leaking milk and tears everywhere. This sad scene was just the start of my breastfeeding struggle but with a lot of help, I was determined not to give up. I am in no way an expert or a raging advocate for breastfeeding, but I wouldn’t have got this far if it wasn’t for the advice and support of friends, family, local midwives and feeding support groups. Having a newborn is an emotionally draining and lonely experience and there is nothing more stressful than struggling to feed your baby. 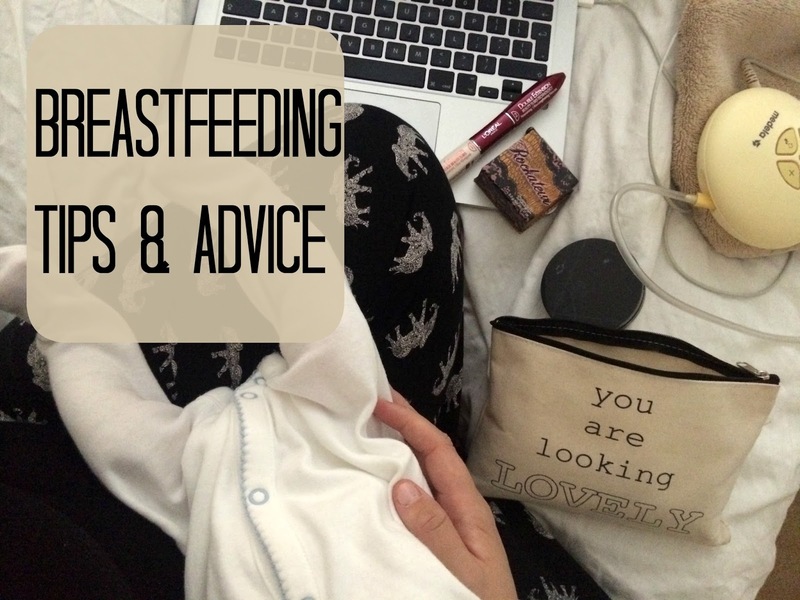 The start to my breastfeeding journey was a tough one and ten weeks on we are only just getting the hang of it which is why I wanted to share my story and advice for anyone thinking about breastfeeding or like I was, struggling in those early days. Do you have any good breastfeeding tips or advice?